Jamal Williams (2012–2016): Williams is the starting running back for the Green Bay Packers. The Rialto, California, native had 15 carries for 47-yards in the Packers’ 24-23 win over the Chicago Bears on Sept. 9. He averaged 3.1 yards per carry, with his fourth-quarter, 11-yard run being his longest of the night. Fred Warner (2014–2017): Warner is a starting linebacker for the San Francisco 49ers. The San Marcos, California, native had a combined 12 tackles, a deflected pass and a forced fumble in his NFL debut on Sept. 9. The 49ers fell 24-16 to the Minnesota Vikings in their season opener. Taysom Hill (2012–2016): Hill is listed as the third-string quarterback for the New Orleans Saints. 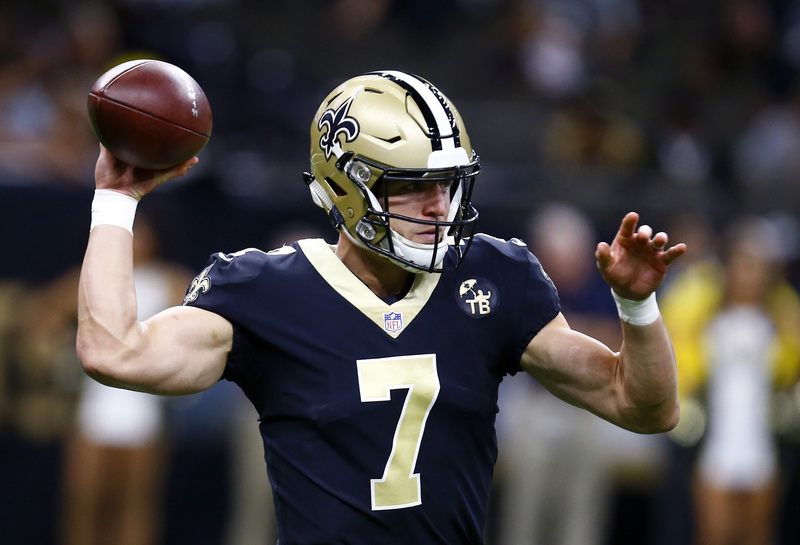 The Pocatello, Idaho, native was instrumental on the first touchdown for New Orleans as they ran a quarterback option that resulted in a handoff to Saints running-back Alvin Kamara for the first touchdown of the game. The Saints fell 48-40 to the Buccaneers. Kyle Van Noy (2010–2013): Van Noy is a starting linebacker for the New England Patriots. The Reno, Nevada, native had three total tackles on Sept. 9, with one tackle being a solo effort. He helped lead the Patriots to a 27-20 win over the Texans. Ezekiel Ansah (2010–2012): ‘Ziggy’ Ansah is a defensive end for the Detroit Lions. The Accra, Ghana, native is currently listed as the starting defensive end for the Lions. The Lions will play their season opener against the New York Jets on Sept. 10. Daniel Sorensen (2008–2013): Sorenson is a starting safety for the Kansas City Chiefs. The Riverside, California, native suffered an injury to his tibia that required surgery before the Chiefs’ first preseason game at the beginning of August and is expected to miss the first part of the regular season. Michael Davis (2013–2016): Davis made the Los Angeles Chargers 53-man roster and is listed as a second-string linebacker. The Glendale, California native did not take the field in the Chargers 38-28 loss to the Kansas City Chiefs on Sept. 9. John Denney (2001–2004): Denney is a long-snapper for the Miami Dolphins. The 14-year veteran has played his whole NFL career with the Miami Dolphins.